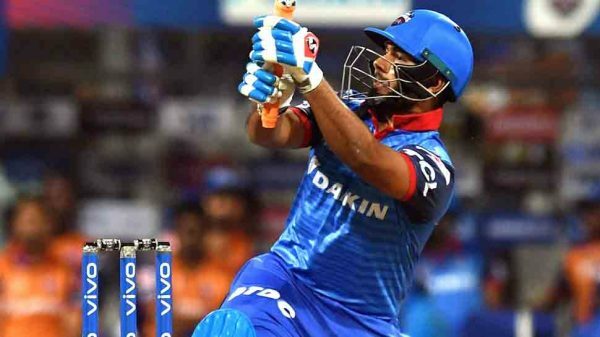 Motivated by a 27-ball 78 by Rishabh Pant, bowlers produced a brilliant show to help Delhi Capitals start their campaign at the Indian Premier League (IPL) 2019 with a 37-run win over Mumbai Indians at Wankhede Stadium on Sunday. Ishant Sharma and Kagiso Rabada claimed two wickets each for Delhi Capitals as Mumbai Indians folded for 176 in the chase of 214 at their home ground. Seasoned batsman Yuvraj Singh top-scored for Mumbai Indians with 53 runs in season’s first high-scoring encounter. Earlier, Delhi Capitals rode on Rishabh Pant’s fireworks to score the first 200-plus total in the IPL 2019. Pant raced to his half-century in 18 balls, hitting seven towering sixes and as many fours at the Wankhede Stadium, which looked too small for the Delhi dazzler. Just 21, Pant smashed the world’s best fast bowler, Jasprit Bumrah, for a few sixes as well. Pant, playing his natural game, mercilessly punished the Mumbai bowlers after South African Colin Ingram (47) and Shikhar Dhawan (43) pulled the visitors out of the rubble and laid the foundation of a big total with their 83-run stand for the third wicket. The young wicketkeeper was brutal on Hardik Pandya, whom he hammered for two sixes and a four in the 16th over to start the destruction and then spared none. He struck two sixes and a four off debutant Rasikh Salam in the 19th over. Pant was also brutal on death overs specialist Bumrah. Rahul Tewatia complimented the stumper with 9 not out. Earlier, the duo of Dhawan and Ingram rallied the Delhi innings after they lost two quick wickets, Prithvi Shaw (7) and skipper Shreyas Iyer (16), inside the first four overs – and also took the Mumbai attack to cleansers.